Joseph J. Minarik is Senior Vice President and Director of Research at the Committee for Economic Development (CED). He served on the Bipartisan Policy Center’s Debt Reduction Task Force and the National Academy of Science’s Our Fiscal Future project, two national commissions committed to reducing the federal budget deficit. Minarik was the chief economist of the Office of Management and Budget for the eight years of the Clinton Administration, helping to formulate the Administration’s program to eliminate the budget deficit, including both the Omnibus Budget Reconciliation Act of 1993 and the bipartisan Balanced Budget Act of 1997. Prior to his service in the Clinton Administration, Minarik worked closely with Senator Bill Bradley on his efforts to reform the federal income tax, which culminated in the Tax Reform Act of 1986, writing Making Tax Choices in 1985; and served as Chief Economist to the House Budget Committee in 1991-92. 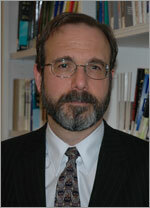 Minarik received three graduate degrees in economics from Yale University, earning his Ph.D. in 1974. He has a B.A. in economics from Georgetown University. Minarik writes a regular column for Bloomberg Government. Click here to view all of Joseph Minarik’s posts on this blog.